JEFFERSON CITY, Thursday, June 12. A series of unprovoked and unparalleled outrages have been inflicted on the peace and dignity of this Commonwealth and upon the rights and liberties of its people, by wicked and unprincipled men, professing to set under the authority of the United States Government. The solemn enactments of your Legislature have been mollified; your volunteer soldiers have been taken prisoners; your commerce with your sister States has been suspended; your trade with your own fellow-citizens has been, and is, subjected to increasing control of an armed soldiery; peaceful citizens have been imprisoned without warrant of law; unoffending and defenceless men, women and children have been ruthlessly shot down and murdered, and other unbearable indignities have been heaped upon your State and yourselves. To all were outrages and indignities you have submitted with patriotic forbearance, which his only encouraged the perpetrators of these grievous wrongs to attempt still bolder and more daring usurpations. It has been my earnest endeavor, under all these embarrassing circumstances, to maintain the peace of the State, and avert, if possible, from our borders the desolating effect of civil war. With that object in view I authorized Maj. Gen. PRICE, several weeks ago, to arrange with Gen. HARNEY, commanding the Federal forces in this State the terms of an agreement, by which the peace of the State might be preserved. They came, on the 21st of May, to an understanding, which was made public. The State authorities have labored faithfully to carry out the terms of that agreement. The Federal Government, on the other hand, not only manifested its strong disapprobation, of it by the instant dismissal of that distinguished officer, who, on its part, entered into it, but it at once began and has unintermittingly carried out a system of hostile operations in utter contempt of that agreement and in reckless disregard of its own pledged faith. The acts have latterly portended revolution and civil war so unmistakably that I resulted to make one further effort to avert these dangers from you. I therefore solicited an interview with Brig. Gen. LYON, commanding the Federal army in Missouri. It was granted on the 11th inst., and waiving all questions of personal and official dignity, I went to St. Louis, accompanied by Major-Gen. PRICE. We had an interview, on the 11th inst., with Gen. LYON and Col. F.P. BLAIR, Jr., at which I submitted to them the following proposition: That I would disband the State Guard, and break up its organization; that I would disarm all the companies which had been ordered out by the State; that I would pledge myself not to attempt to reorganize the militia under the military bill; that no arms or munitions of war should be brought into the State; that I would protect all citizens equally in their rights, regardless of their political opinions; that I would repress all insurrectionary movements within the State; that I would repel all attempts made to invade it from whatever quarter and by whomsoever made, and that I would thus maintain a strict neutrality in the present unhappy contest, and preserve the peace of the State; and I further proposed that I would, if necessary, invoke the assistance of the United States troops to carry out these pledges. All this I propose to do upon condition that the Federal Government would undertake to disarm the Home Guards, which it has illegally organized and armed throughout the State, and pledge itself not to occupy with its troops any localities in the State not occupied by them at this time. Nothing but the most earnest desire to avert the horrors of civil war from our beloved State could have tempted me to propose these humiliating terms. They were rejected by the Federal officers. They demanded not only the disorganization and disarming of the State Militia, and the nullification of the Military Bill; but they refused to disarm their own Home Guard, and insisted that the Federal Government should enjoy the unrestricted right to move and station its troops throughout the State whenever and wherever that might, in the opinion of its officers, be necessary, either for the protection of loyal subjects of the Federal Government, or for repelling invasion, and they plainly announced that it was the intention of the Administration to take military occupation, under these pretexts, of the whole State, and reduce it, as avowed by Gen. LYON himself, to the exact condition of Maryland. The acceptance by me of there degrading terms, would not only have sullied the honor of Missouri, but would have aroused the indignation of every brave citizen, and precipitated the very conflict which it has been my aim to prevent. We refused to accede to them and the conference was broken up. Fellow-citizens, all our efforts toward conciliation have failed. We can hope nothing for the justice or moderation of the agents of the Federal Government in this State. They are energetically hastening the execution of their bloody and revolutionary schemes for the inauguration of civil war in your midst; for the military occupation of your State by an armed band of lawless invaders; for the overthrow of your State Government and for the subversion of those liberties which the Government has always sought to protect; and they intend to exert their whole power to subjugate you, if possible, to the military despotism, which has usurped the powers of the Federal Government. Now, therefore I, C.F. 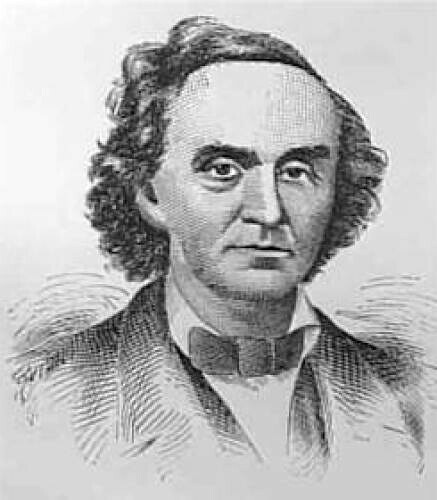 JACKSON, Governor of the State of Missouri, do, in view of the foregoing facts, and by virtue of the powers vested in me by the Constitution and laws of this Commonwealth, issue this, my proclamation, calling the militia of the State, to the number of 50,000, into active service of the State, for the purpose of repelling such invasions, and for the protection of the lives, liberties and property of the citizens of this State, and I earnestly exhort all good citizens of Missouri to rally to the flag of their State for the protection of their endangered homes and firesides, and for the defence of their most sacred rights and dearest liberties. In issuing this proclamation, I hold it to be my most solemn duty to remind you that Missouri is still one of the United States; that the Executive Department of the State Government does not arrogate to itself the power to disturb that relation. That power has been wisely vested in the Convention which will, at the proper time, express your sovereign will; and that meanwhile it is your duty to obey all constitutional requirements of the Federal Government. But it is equally my duty to advise you that your first allegiance is due to your own State, and that you are under no obligation whatever to obey the no constitutional edicts of the military despotism which has introduced itself at Washington, nor submit to the infamous and degrading sway of its wicked minions in the State. No brave-hearted Missourian will obey the one or submit to the other. Rise, then, and drive out ignominiously the invaders who have dared to desecrate the soil which your labors have made fruitful, and weich is consecrated by your homes. This entry was posted in Claiborne Fox Jackson, Missouri, Nathaniel Lyon. Bookmark the permalink.